Get ready for a swinging good time! 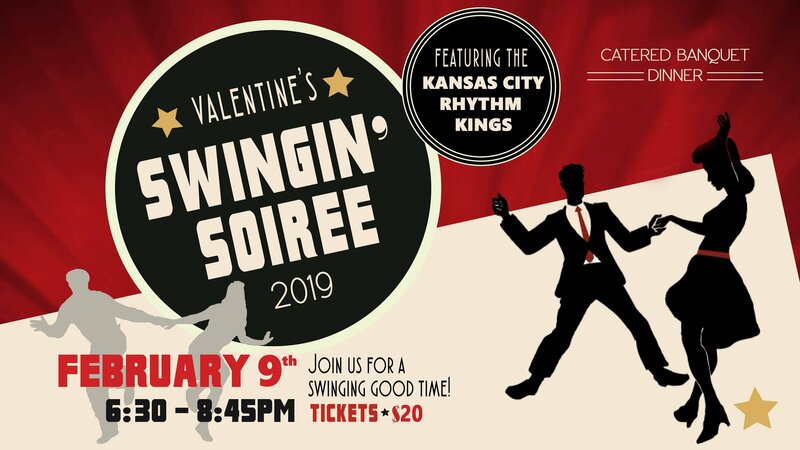 Come for dinner, entertainment, the Kansas City Rhythm Kings, and dancing. Tickets are $20.00 a person. Purchase at the INFO DESK on Sunday mornings, or online!